Last weekend I had the pleasure of being invited to teach at the Make Party, an amazing evening of making and dancing in the Kent countryside, masterminded by Sebastian Cox and his wife Brogan. 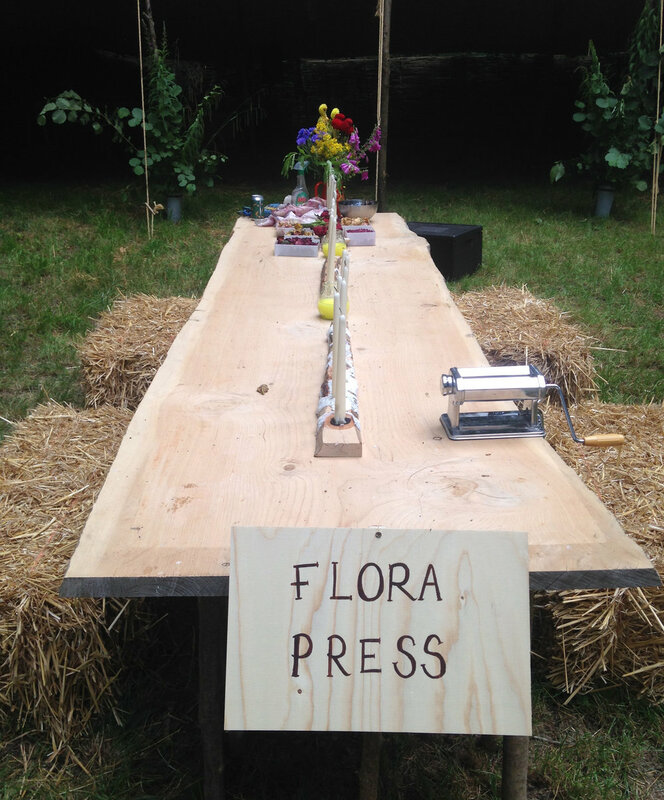 I teamed up with my oldest friend Olivia Bennett to create FloraPress, a multidisciplinary workshop looking at ways to incorporate flora into pasta and cloth. Olivia took charge of the food and created some incredible herb filled tagliatelle. 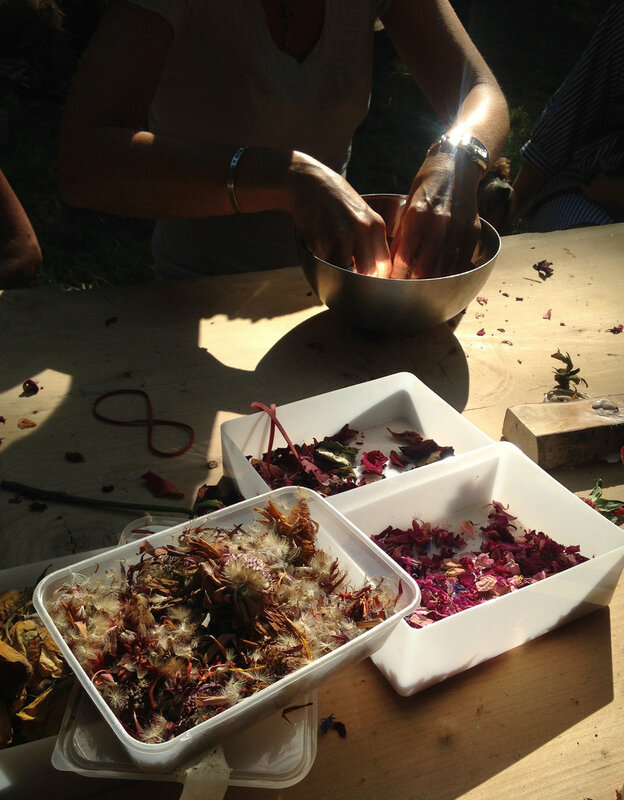 My workshop utilised waste flowers from the florist next door to my studio as well as other foraged petals and leaves to create delicate dyed lengths of silk. This incredible bundle dying process created some beautiful results, and I am really looking forward to developing this workshop for some events coming later in the year with Makers House. To whet your appetite here are a few shots from a fantastic weekend!